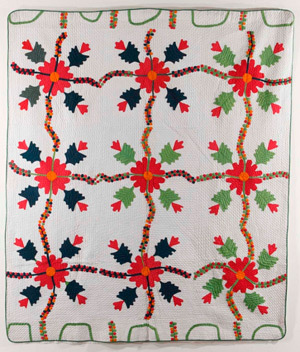 is opening at the American Textile History Museum, Lowell, Massachusetts, this weekend. The exhibit is curated by Madelyn Shaw and Lynne Bassett. Homefront & Battlefield will use quilts, textiles, clothing, and other artifacts to connect deeply moving and insightful personal stories (private memory) about the war, its causes, and its aftermath with the broader national context (public history). 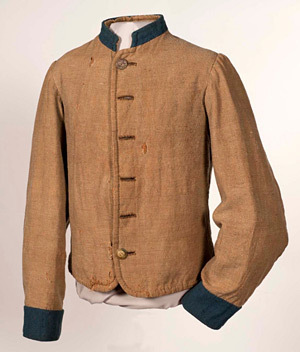 Textiles were integral to the Civil War—physically, economically, ideologically, and emotionally—and linked soldiers and civilians. The exhibition and book build on recent scholarship in social and economic history to tell of the events that led to the war, the stories of men and women affected by the Civil War, and the opportunities and challenges that followed it. The catalog, published by ATHM, has been scheduled for publication June 1, 2012. Look for Homefront and Battlefield: Quilts and Context in the Civil War by Madelyn Shaw and Lynne Zacek Bassett. Thank you for this information. I tried to find the book, but gather that it isn't available yet? Looking forward to both the exhibit and the book. The book is currently available through the museum. You can email sprice@athm.org or call Sandra Price at 978-441-0400. Quite a bargain at $39.99. If I were near you I would come visit your show in a heart beat. Sadly, I'm thousand if miles away from you. Wish you luck on your show.